When you visit your hearing instrument specialist for the purposes of buying a new hearing aid, it’s easy to be overwhelmed. There are several types of devices available and many of them are incorporating exciting new features specifically suited to help you cope with your individual needs. Here are a few examples of the latest innovations in hearing aid technology that you can expect when you work with your hearing instrument specialist from Palmetto Hearing Healthcare Center. Many hearing aid users have pre-existing health concerns that can make physical accidents a serious concern. For instance, as we grow older, slips, trips and falls tend to be riskier affairs than when we were younger. 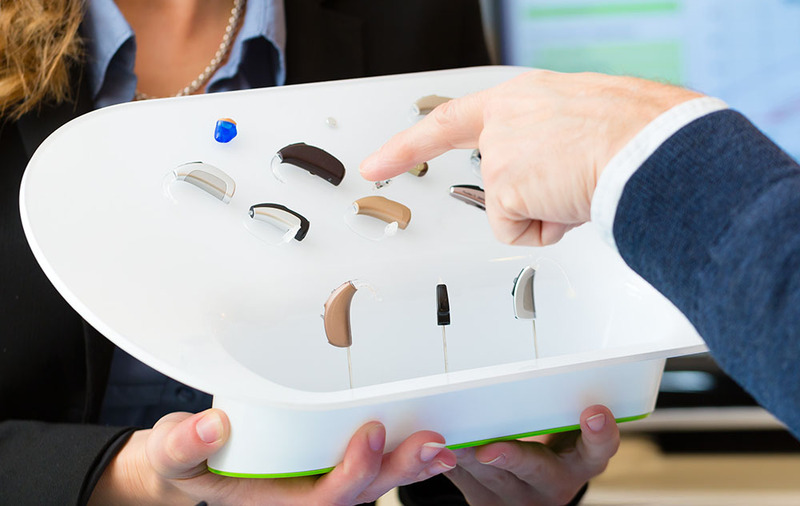 Now, some hearing aids are making use of inertial sensors to help protect against that risk. These sensors understand when we suffer a fall and a wirelessly launch an alert. This can be programmed to help us get in touch with our healthcare providers, our family and even the emergency services so that help is never too far behind. Many devices already make use of rechargeable batteries. However, hearing aids make use of some very specific kinds of advanced batteries, so until now we had no option but to change them every time they ran out. That is no longer the case. Rechargeable batteries are being developed for more and more hearing aids, which not only saves you money, but also means that you can use a portable charger to ensure you always have batteries on hand if you’re not near an electrical outlet or your spare batteries. This feature is all about ensuring that your hearing aids are set to the most effective programming settings even if you’re at your hearing instrument specialist’s office. Now, you can connect with specialists over the internet via webcam or on the phone if you’re having trouble with your hearing aids. Those that have telecare features can have their sound profile programming and other features changed remotely, so it’s much easier to ensure that they are always at their most effective. Not entirely related to telecare, a telecoil or t-coil is a component found in many modern hearing aids. It’s a component that’s sensitive to magnetic fields, such as those that many phones have. When the telecoil connects to devices like phones, your hearing aid will “listen” through the telecoil instead of through microphone. This means that the sound from phones that have a telecoil in them will be much clearer than before. Many public places, such as places of worship, banks and shops have telecoil loops in them. These connect with the telecoil in your hearing aid so that you can more clearly hear the sound produced over the speaker systems. Bluetooth works similarly to telecoil, except it connects your hearing aid directly to digital devices. This means that you can have the sound from smartphones, laptops, smart TVs and other Bluetooth-enabled devices transmitted directly to the hearing aids. A Bluetooth connection can do a lot more than improve your hearing, however. There are many applications for devices such as smartphones and tablets that allow you to configure your hearing aid without having to make use of manual controls. For those with issues affecting their manual dexterity, these apps can make adjusting your hearing aid much more convenient. Some hearing aids are able to connect to home networks, such as with the use of a smart home hub. This allows them to connect to a whole range of smart home devices. For instance, even with a hearing aid, you may have trouble hearing the doorbell or the ringing of the phone. Network connected devices use the “internet of things” to connect these together. So, if you have digital doorbell or telephone and they are connected over the network to your hearing aid, you can hear them through the device, no matter where in the house you are. Occlusion is an issue that affects many hearing aid users. The device amplifies everything, including your own voice, which can create an uncomfortable echo that can make communication difficult. Own voice processing means that the hearing aid is programmed to recognize your own voice and to mask it to a degree so that it becomes much less of a bother. If you want to make use of some of these exciting new technologies, get in touch with a hearing instrument specialist from Palmetto Hearing Healthcare Center by calling our Summerville office at (843) 571-0744 or our Charleston office at (866) 571-0744. We can help you establish a budget, work out your needs and choose the hearing aid with the perfect combination of technology for you.